I am worthy. I am deserving of all that i receive. I am open to the flow of abundance, kindness, love, opportunity and adventure.My heart is full knowing that I am worthy of all that enters my life. Gemstone – Frosted Rose Quartz and Petrified Wood. 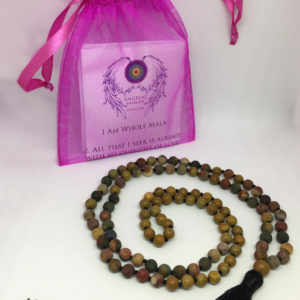 Handcrafted – These malas are hand-knotted between each bead while the encloses are hand-strung. 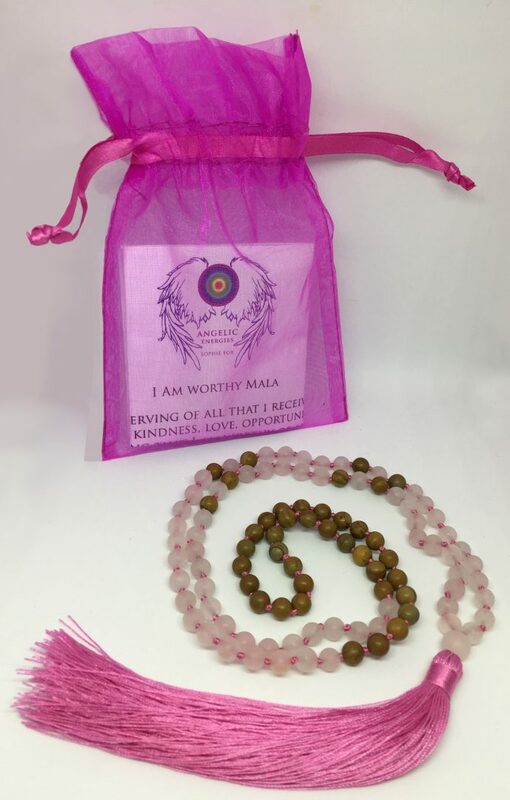 Hand-knotting is a traditional way of making mala necklaces, and is meant to help ease your meditation practise. 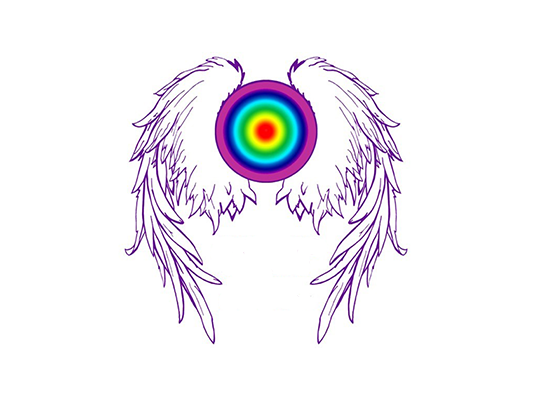 Archangel Zadkiel Luxury Gift Set with Blessed Crystal Angel & 3 Card Energy Oracle Reading.